Abu Dhabi: Following an initiative by the World’s Leading Waterpark to celebrate the Year of Tolerance, Yas Waterworld has succeeded in its attempt to set the Guinness World Record for ‘Most Nationalities in a Swimming Pool’. The event on Friday was held in the presence of Guinness World Records representatives as well as Farah Experiences and Yas Waterworld senior management. It saw people from 102 nationalities come together to represent their home countries and celebrate the values of coexistence and tolerance that the UAE has long embraced. 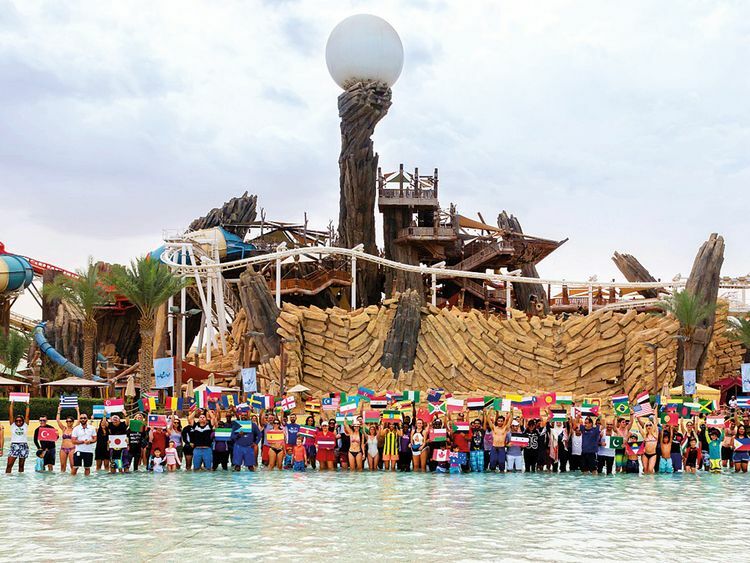 Showcasing a deep sense of community, Yas Waterworld guests revelled in the celebratory atmosphere, as they held their countries’ flags while standing in Amwaj Wave Pool, to help take the water park to Guinness World Records fame. The waterpark’s guests from across the globe then went on to enjoy a day filled with family-friendly adventures, including complementary face-painting and the park’s 40 rides, slides and attractions.